This is our most affordable paint package. Performance Mobile proudly uses the Matrix single stage urethane factory packs. These factory packs are designed for complete over-all paint jobs. This paint will be catalyzed to ensure a long lasting durable finish. This urethane finish far surpasses synthetic and acrylic enamel coatings for appearance and durability. We also utilize 3M, Smart, and Evercoat, products and materials. In this package, our workmanship comes with a two year warranty. NOTE: The prices below are based on vehicles in need of a refinish due to color fade-out, oxidation, severe swirls, pitting, marring, medium to heavy scratches or a simple desire to change the color of your vehicle. For more information on this package... feel free to fill out our "request for information form" found on our contact us page. ​​All labor and material needed for this package are included in the prices below. We have a wide variety of colors to choose from. This package is a Urethane Single Stage Service. Our prep for this package includes sanding the entire vehicle to remove the minor defects listed above and to create a fusible surface. We remove adequate parts and mask off all necessary surfaces and trim. Door and trunk jambs are not included in this package.The price is $75 per jamb. Added volume of paints and material are needed for larger vehicles and are factored into the prices above. Most colors may be less transparent than others meaning, it is more likely that we will not need additional paint. Some are more transparent, which will require the additional paint or a sealer. When we compare your vehicle’s color to your desired color, then we can determine weather or not you will need additional paint or a primer/sealer. Then we can include the price difference into the quote. Don’t worry, good quality primer/sealer's are fairly inexpensive. A full overall paint job will take two to three days to complete depending on the level of prep work involved. After the entire vehicle is complete, it will then take about 72 hours to cure enough for regular use. A “Two Year Warranty” will be granted in this Package. 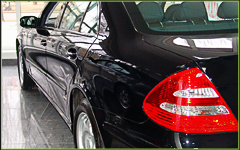 We perform minor bodywork to vehicles, such as dent and scratch repairs. 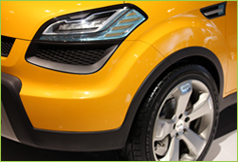 We can also refurbish and repaint most damaged bumpers… Please see Add – On Services for spot repair prices. Gift certificate purchases will always include a price that as been agreed on.